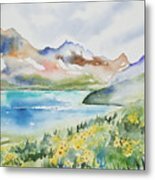 Watercolor - Colorado Alpine Landscape is a painting by Cascade Colors which was uploaded on July 25th, 2016. 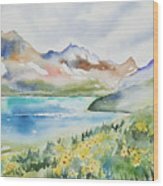 Original watercolor painting, 'Colorado Alpine Landscape', by Lynn Cyrus / Cascade Colors. 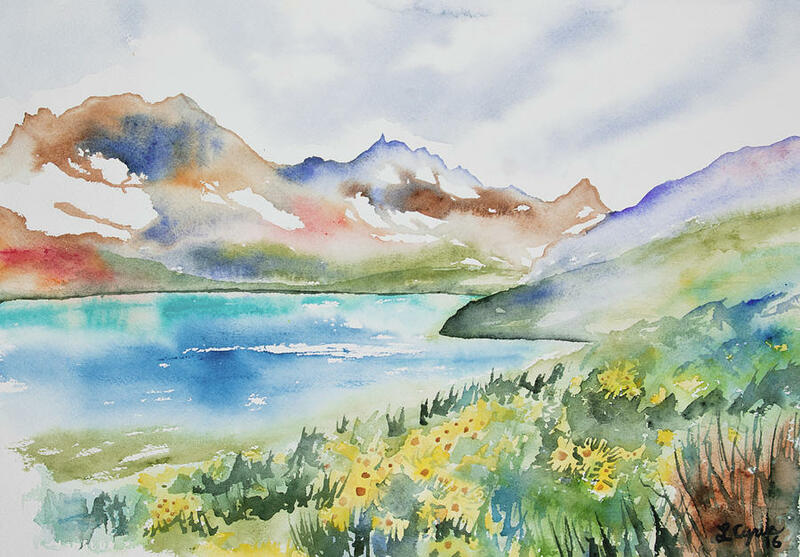 Inspired by a recent trip to the San Juan National Forest, a wilderness between Ouray and Silverton, I painted this interpretation of Columbine Lake. This brilliant aqua-turquoise lake is high in the alpine, surrounded by mountain peaks. Stretches of fragile meadow border its shore, filled with Alpine Sunflower and other wildflowers. This piece will be perfect for any nature lover, and especially those who have enjoyed the beauty of hiking through pristine mountain landscapes such as this one. 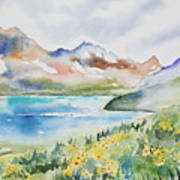 There are no comments for Watercolor - Colorado Alpine Landscape. Click here to post the first comment.